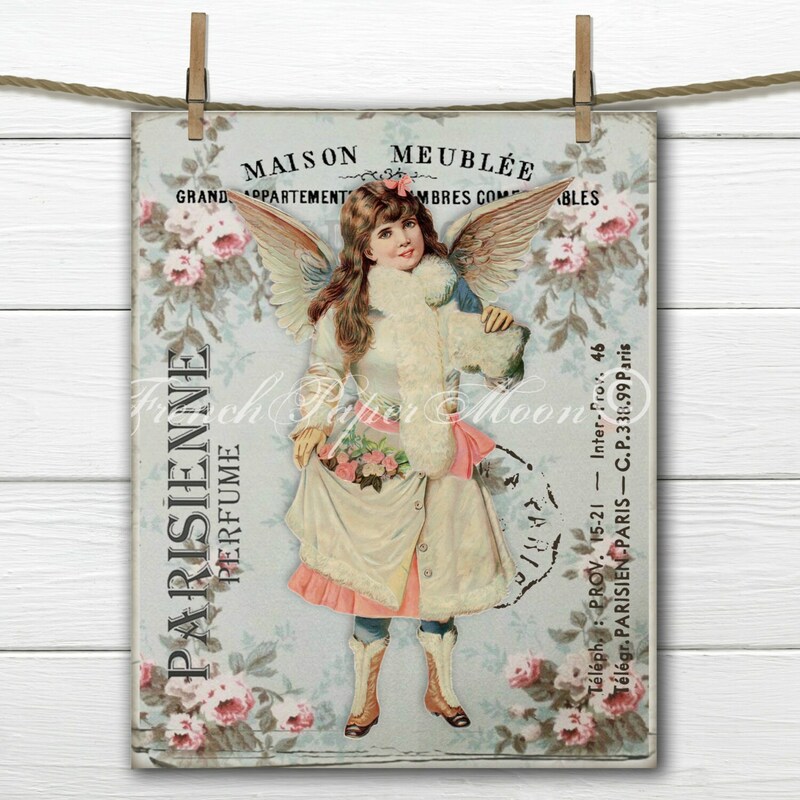 Adorable shabby chic Victorian angel with vintage French graphics and roses. 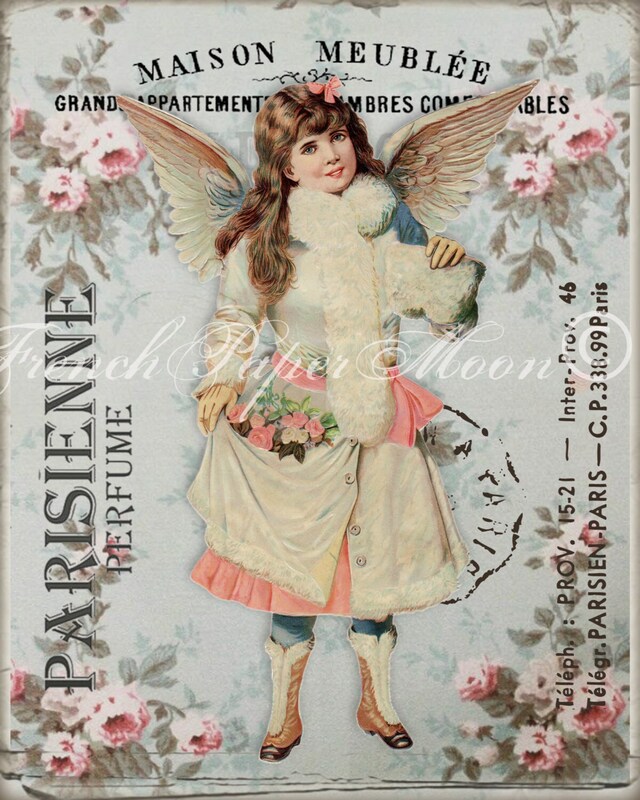 You will receive 2, 8x10" JPEG images, one reversed. Instant Download Printable.